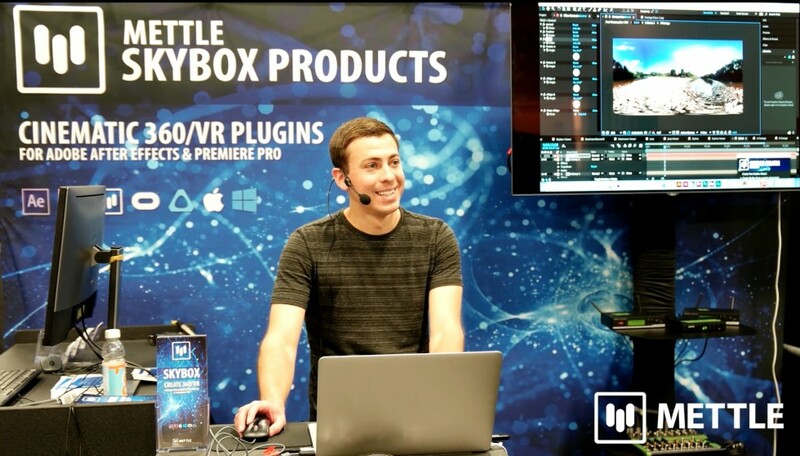 Charles Yeager showed us some great immersive workflow techniques for post-production in After Effects and Premiere Pro. He H\hosted a Live Stream on the Mettle Facebook page, Monday May 21st at 4:00 pm EST (1 pm Pacific). He started things off with great workflow tips, and then spent time answering viewer questions, part of a Q&A Session. 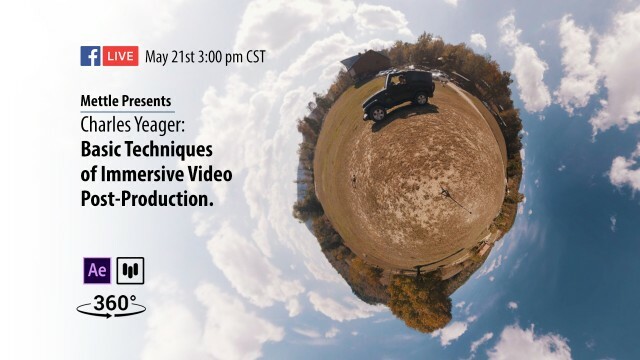 If you have any Immersive Post-production questions for Charles, follow the link below to send them to us, for future Live Streams..
1:28 How to use “VR Rotate Sphere” to move your focal point. 10:04 VR Projection – allows you to match Mono and Stereo, and different sized 360 footage on the same timeline. 12:37 Toggle VR Display – how to preview your spherical content. 17:10 How do you use proxies in 360 video production? 21:07 What is the best resolution for Stereo online videos? 23:25 How do you export a 360 video so it’s recognized by youtube? 29:37 What is the best way to unwrap 360 footage and reframe it for standard video, and ideally specify the resolution? Is there something you’d like to ask Charles? Send us the question andCharles will try to answer it in his next Live Stream. Click on the link below.